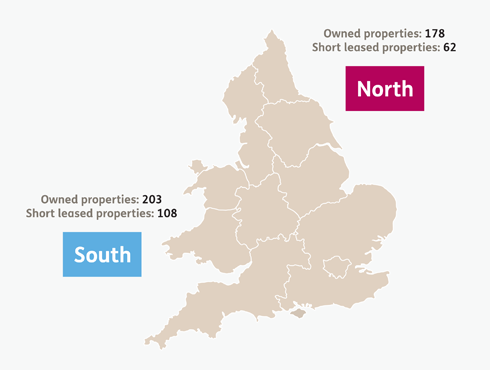 GLH regional teams operate across the North and South regions to provide housing across England and Wales. We have experienced development managers for both our Northern and Southern regions. They work closely with developers to identify suitable land and properties to lease or purchase, and take schemes from early negotiations through to completion.